This is my personal favorite Russian history image. I cannot think of any other photo or painting that has stunned me as much as this. It is the original color photograph from the year 1909! Shot with an innovative technique by photographer Sergey Prokudin-Gorsky on his state-funded expedition around the Russian Empire. The colors are unbelievable and real. Peasant Girls. Photo by Sergey Prokudin-Gorsky (1909). Sergey Prokudin-Gorsky (1863-1944) was born near Vladimir to a Russian noble family. He studied chemistry in Saint Petersburg under Dmitri Mendeleev. He became an active member of the photographers’ society and traveled to Berlin in 1902 to study the techniques of Adolf Miethe. 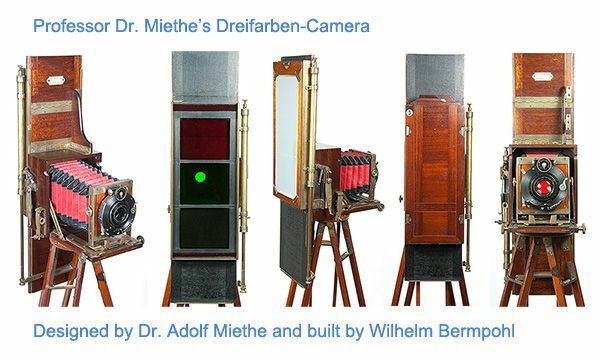 Miethe was the world’s leading expert in shooting chromatic images. He had invented an incredibly complex technology of shooting black and white negatives through three light filters, blue, green and red. The three were then merged to create one chromatic photo representation. Prokudin-Gorsky improved his technology by creating plates that were even more sensitive to light and enabled more natural results. He patented them under the name “bromo-silvers by Prokudin-Gorsky”. 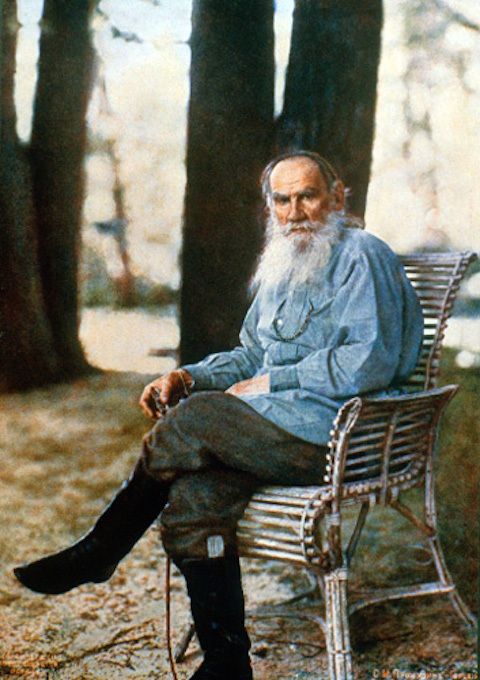 His iconic color photograph of Leo Tolstoy sitting on a chair in Yasnaya Polyana brought him to the attention of the tsar. The showcase of his work to the imperial family took place on 3 May 1909 in the Alexander Palace at Tsarskoe Selo. Tsar Nicholas II, his wife Alexandra, and their kids just loved the slideshow which lasted whole evening. After that evening Prokudin-Gorsky had tsar’s blessing to fulfill his dream. He undertook an expedition to create a photographic “Collection of the Notable Sights of the Russian Empire”. A special mobile photo lab was created and a full crew was given to him on a steamship on Sheksna River. Later he also traveled on a specially adapted railroad car, all provided for him by the orders of the Transportation Minister Rukhlov. The first expedition set out along the Mariinsky Canal from Saint Petersburg to River Volga. Along with shooting mostly notable churches and monasteries, Prokudin-Gorsky also found time to capture the life of ordinary peasants. Not far from the town of Kirillov is a village called Topornia. This is where he created some of his most spectacular photography. The three young girls in the photo are offering raspberries and blueberries from the 1909 harvest. They are standing in front of their izba, which is a traditional Russian wooden house. The girl with the most colorful dress is also captured separately. Sadly, the names of the three girls or their life stories are not known. Girl With Strawberries. Photo by Sergey Prokudin-Gorsky (1909). Sergey Prokudin-Gorsky had a goal of capturing 10,000 images in ten years. He traveled extensively around Russian Empire until the October Revolution took place. Lenin’s new regime appointed him professor in a university but Prokudin-Gorsky preferred to emigrate to France in August 1918. It is estimated that he had about 3,500 negatives that he wanted to take with him. About half of them were confiscated by the Russian authorities as containing sensitive materials for state security. He set up a photo lab in Paris and continued to publish and register patents until his death in 1944. Prokudin-Gorsky’s two sons sold his collection to the U.S. Library of Congress in 1948 for 5,000 dollars. It contains 1,902 negatives (with each plate consisting of three negatives that makes altogether 5,700 items). The images are all digitally restored and are freely available for public use here.